Popular Ghanaian TV show host and comedian, Afia Schwarzenegger has heaped praises on lawmaker Kennedy Agyapong despite the fact that the duo used to be at loggerheads. Kennedy Agyapong clashed with Afia Schwarzenegger in 2016 which led to Afia losing her job at Okay FM some few years back but according to Afia Schwarzenegger in a new video, Kennedy Ohene Agyapong though loudmouth but she cannot take away the fact that he is also being honest with some happenings in the country. She further noted that due to his honesty, his own political party, the NPP always undermine him. “They sell him to his enemies because of the truth he always says, they don’t like it, ” she revealed after she was asked by a fan in an Instagram live video whether she would love to venture into politics. This is not the first time Afia Schwarzenegger has showered praises on Kennedy Agyapong. 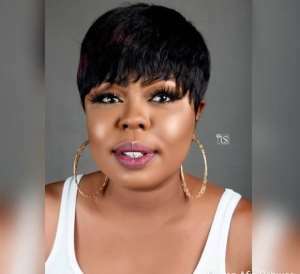 Afia Schwarzenegger who seem to have issues with Kennedy put aside her differences and praised him for being a good father for consoling his daughter during the burial service of his wife, Stacy Offei who died after going through surgery at Dr Obengfo’s clinic.